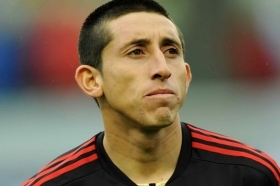 Arsenal have reportedly joined the race to secure the services of Hector Herrera from Porto during the ongoing transfer window. The Mexico international is currently in his sixth campaign with the Primeira Liga outfit but his future remains uncertain with his contract expiring in six months' time. According to Tuttomercatoweb, the Gunners are keeping tabs on the midfielder's situation alongside Wolverhampton Wanderers and they could make their respective offers during the current month. The north London side are presently looking into a replacement for Aaron Ramsey, whose existing deal with the club expires at the end of the ongoing season. Wolves, on the other hand, are seeking to add more international experience within their ranks in order to enhance their prospects of finishing in the top half of the table. Arsenal are currently three points behind Chelsea in the pursuit of the final Champions League spot. Wolves, meanwhile, are 12 points adrift of the Gunners in the ninth position.